Back in January, Gaming Heads revealed that they will be producing Doomguy Collectible Figures from the Doom (2016) video game. These figures are hidden throughout the game, and finding them helps to unlock bonus content for the games. In Doom, there were 26 Doomguy’s to collect, each in a different color. Right now, they have two colors available of the Doomguy and the standard versions is listed as In Stock! They are priced at $39.99 each, and include articulation and sound effects. See the details below: DOOM: Doomguy Collectible – $39.99 Gaming Heads is proud to reveal our first » Continue Reading. 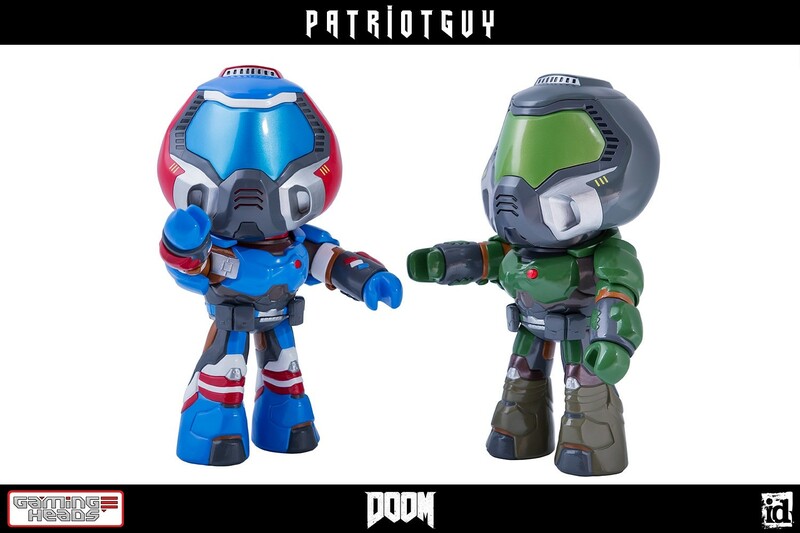 The post Doomguy Collectible Figures Now Available From Gaming Heads appeared first on The Toyark – News.